Building banner ads doesn’t have to be a chore. From static ads to animated HTML5 banner ads, Bannersnack is a tool that allows you to create quick and visually appealing ads for any application. Here, we’re going to look at this tool and how you can make the most of creating stunning banner ads in just a few minutes with Bannersnack. Forget firing up Photoshop, figuring out ad dimensions, and starting from scratch. This is a new way of approaching the whole process. Bannersnack is a tool that helps you create static and animated banner ads or social media posts. The key benefit to Bannersnack is it is made to help anyone create banner ads quickly. 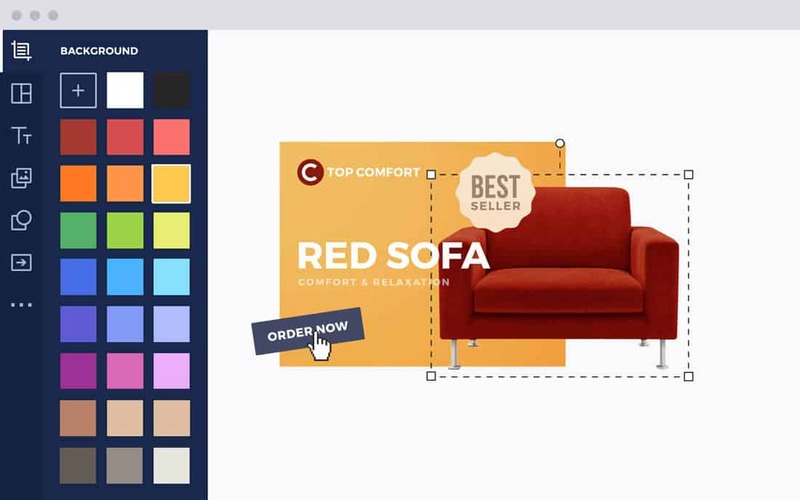 If you can imagine it for a banner ad, Bannersnack has the tools to help you create it. And it won’t take much time to get from start to finish. It’s designed for individual projects and even client work, since you can customize every element of the banner ads you create. Plus, analytics and heatmaps are included with pro and plus subscriptions, to help you demonstrate the effectiveness of designs to clients. Bannersnack has been around since 2008 and the company has 60 employees, including mostly designers and developers. 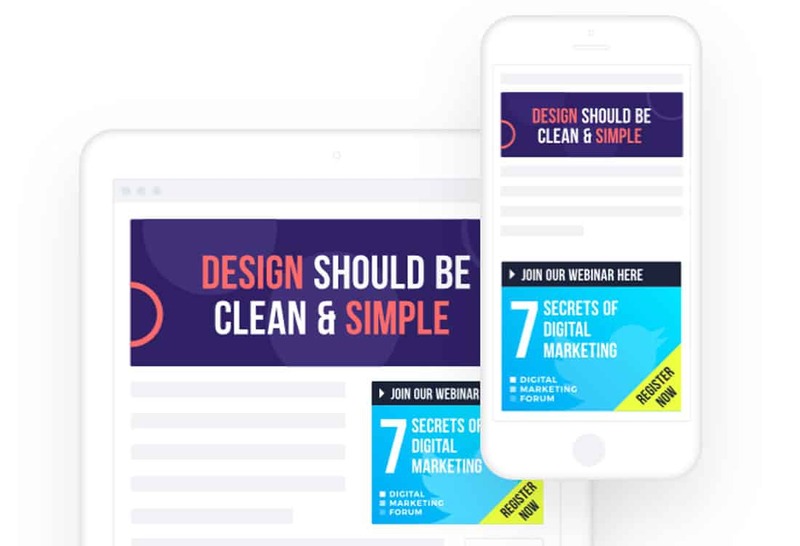 The banner ad tool is in constant revision and development so that templates feature modern, trendy designs and tools work with all the latest technology. 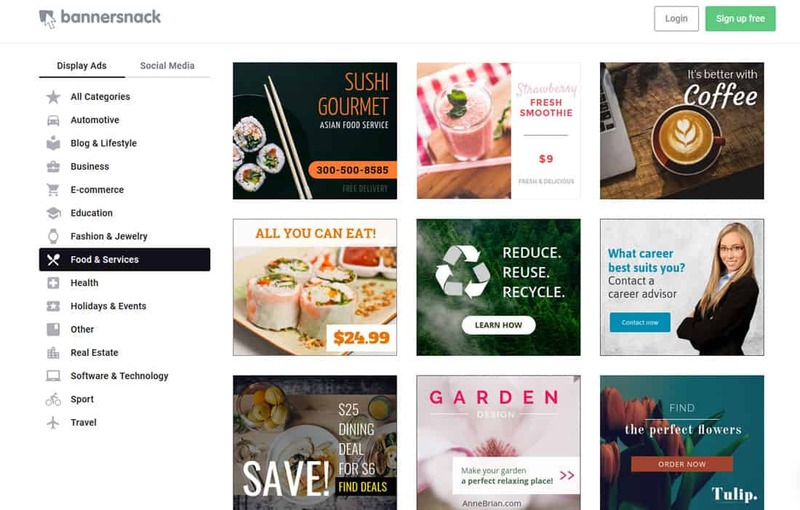 Because Bannersnack is a web-based, in-browser tool, you don’t need anything more than a web connection to create ads for a variety of digital uses, from website banners to promote a product or service to promos for social media. The banner ad tool is robust enough to help you create ads for almost any digital usage you can think of. It uses an easy drag and drop interface with pre-sized elements to help you build to common shapes and sizes. Plus, Bannersnack has an ad generator tool that allows you to turn one ad into multiple sizes for branded use in multiple locations. You can use it with your own colors and branding or create ads using stock images and elements from the included library of tools. The banner ad tool is robust enough to help you create ads for almost any digital usage you can think of. Bannersnack includes pricing plans for individual users or teams. Plus, everyone can try it free to see if Bannersnack is the right tool. Pricing starts at $7 per month and there are discounts for annual subscriptions. It also includes stock photos and art pieces to help you create ads that have a high-visual impact with short turnaround times. Plus, all ads you create in Bannersnack are responsive, so they’ll work across devices for all users. Our thanks to Bannersnack for sponsoring this post and helping to support Design Shack.